NEW YORK - A new paper last week in Science reinforced the idea that migrating sheep develop their mountaineering skills by transmitting cultural knowledge. 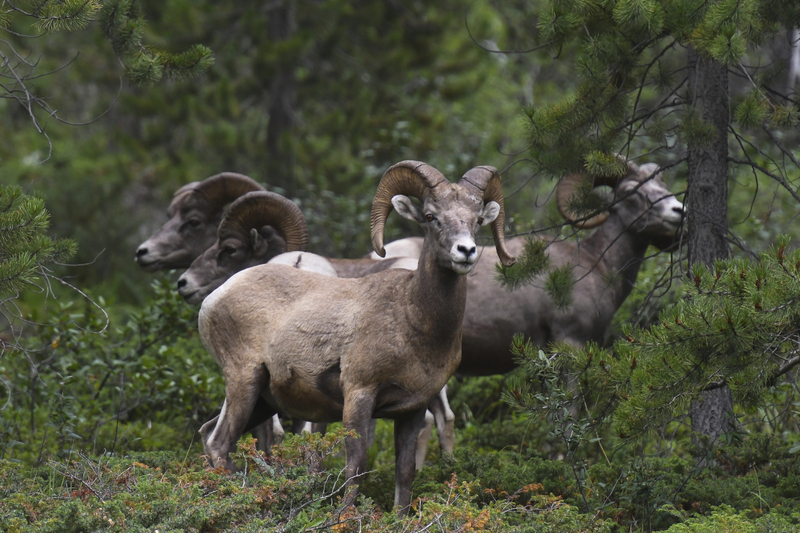 This is no mindless ramble but a complex hike that takes wild bighorn sheep through the regions richest in food, safest from predators. To pull this off they have to be good followers, for sure, but at least some of them also need leadership qualities. By monitoring sheep with GPS-equipped collars, the researchers found that sheep transplanted to new areas for conservation reasons often don’t migrate at all at first, and only gradually start getting up to speed. How does the whole, spectacular migration behavior get going, and then get refined over generations? Biologist Marco Festa-Bianchet broached the topic of leadership in a commentary piece accompanying the research paper. I reached him by phone last week, at a field camp in Australia. He said it’s possible that certain sheep with leadership qualities blaze the trails. Another intriguing possibility is that the sheep all have a little bit of leader in them, and they pick up information from each other, adjusting their behavior according to the wisdom of the crowd. These sorts of group dynamics are not only embedded in human behavior but have been considered the secret to our success in both populating and altering the planet. 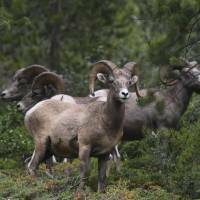 Understanding whether there are sheep leaders could help in conserving these animals. There are fewer migrating ungulates all the time, as they are threatened by hunting and climate change. Loss of habitat is a particular risk, as their migration paths are blocked by ubiquitous highways, fences and walls. Migrating animals can become sedentary, Festa-Bianchet said, but their populations tend to diminish, because they lose the advantage of being able to follow food supplies with the seasons. Festa-Bianchet noted that cultural transmission of knowledge “is not always good, just like in human culture.” Sheep sometimes miss out on good grazing ground because they do things the way they always have. Their ability to entrench group behavior makes them well adapted to stable environments but less so if their world suddenly begins to change. There’s so much we can learn about ourselves from these creatures. So many of the traits and behaviors we long considered essential to being human are reflected in other animals. If only we could stop encroaching on their habitats. But that’s the way we’ve always done things. Science writer Faye Flam is a Bloomberg opinion columnist. She has written for the Economist, Science, The New York Times, Psychology Today, and other publications.